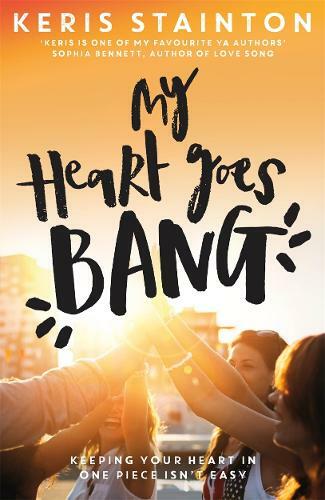 'Keris is one of my favourite YA authors' Sophia Bennett, author of LOVE SONG Ella, Lou, Issey, Liane and Paige are determined to make the most of this second year at uni. They want to have fun, but they want to focus on work. There's no time for relationships. Except with each other. And even that's not guaranteed. Ella and Lou have always been close, but there's tension between Issey and Liane, and none of them even knows Paige all that well. But when Ella finds a magazine article with a list of men they should date before they're 21 (someone who's been on telly? Check; someone who's got tatoos? Check;) they vow to complete the list before finishing university and set about it with a lot more enthusiasm than they do their studies ... but will any of them end up with a full house? And when a secret from their first year comes out, it looks as if some of them might not be completing university, never mind the list ... MY HEART GOES BANG is about lectures, essays, hangovers, and flatmates; it's about found families, finding yourself, and falling in love with people you never expected to fall in love with.